Okay, I’ll admit it: I don’t cook much, and when I do, it’s usually something simple like eggs or pasta. I’d like to be more adventurous, I swear, but every time I try to follow a fancy recipe, I always end up covered in sweat and/or tears. That’s why I’m eager to try out recipes from a startup called Kitchenbowl, which is announcing today that it has raised $1 million in seed funding. Now, it’s possible that you’re perfectly okay with the recipes you can already find online, but it sounds like the husband-and-wife founding team of Ryan Waliany (CEO) and Serena Wu (chief creative officer) have had similar struggles. Sure, that recipe might look simple, but you could suddenly discover that 10 different steps have been combined under the umbrella of “prep work,” while other steps might be frustratingly vague. Googling for recipes can be particularly risky, Waliany added, since many recipe sites are more focused on SEO than on quality. With Kitchenbowl, on the other hand, recipes are supposed to be broken down step-by-step, with each step illustrated by either a photo (for the simple bits) or a GIF (for steps where you want to see exactly how the chef did something, like folding the dough around a dumpling). The Kitchenbowl app highlights different recipes and cooks, but you can also find new content by following other users. Wu said one of the main factors that the app looks at when deciding which recipes to recommend is whether or not users have posted photos of the completed dish — after all, that’s “pretty hard to forge,” and it shows that someone actually succeeded in following the directions and making something they’re happy with (as opposed to just recommending a recipe for apple pie because hey, they like pie). In order to build up this library of content (it has about 1,000 recipes so far), Kitchenbowl is also trying to make the recipe creation process as easy as possible. They’re created using the kitchen bowl iPhone app, Wu said that about half the recipes were published in 30 minutes or fewer. As for the funding, it was led by Jon Staenberg (startup investor and also founder of Hand of God Wines), with participation from AllRecipes investor Sugar Mountain Capital, Egencia President Rob Greyber, Chasing Unicorns, Indicator Fund, Andy Liu, and others. In addition, former AllRecipes CEO Bill Moore has agreed to join the advisory board. Oh, and even though the company is headquartered in Seattle, Waliany and Wu are spending the next few months in New York City as part of the Food-X accelerator. The ease and functionality of mobile devices is shifting the way we think about interactivity. Smartphones, tablets, and laptop hybrids are ushering in a new age of UI that favors a more direct form of interaction, one where mouses are optional. While a few years ago you could chalk up mobile devices’ popularity to being new and different, today we’re forced to admit there’s something else behind their lasting success. Users are finding that the control system of gestures—made viable by animation—are more than merely entertaining, they’re useful. A study by Dan Mauney, Director of Human Factors & Research at HumanCentric, shows us that gestures might be more intuitive than we once thought. According to the notes by Luke Wroblewski, the study asked 40 people in nine different countries to create gestures for 28 tasks like deleting, scrolling, zooming, etc. While this is a topic worthy of its own article, the important thing to note here is that the gestures tended to be similar across culture and experience. For example, when prompted to “delete,” most people—regardless of nationality or proficiency with mobile devices—tried dragging the object off screen. The differences between cultures and familiarity with touch devices was slim (although the Chinese seemed to favor symbolic gestures). The biggest differences arose in scrolling, where some gestured up and others gestured down, depending on which mobile device, if any, they were more familiar with. What this tells us is that gesture-based controls seem to come naturally to us, or at least can be picked up quickly. If that alone isn’t reason enough to embrace it, let’s take a more practical look. Less Clutter: As if the size limitations on mobile devices weren’t bad enough, the common lack of a keyboard means often the UI control panel is squeezed onto the screen, sacrificing valuable content space. 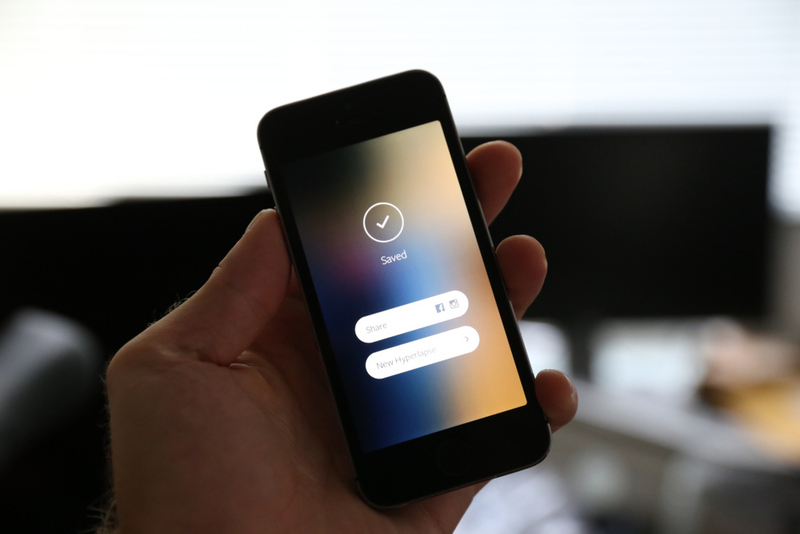 But the more an app/site relies on gesture controls, the less buttons on-screen, and thus more content. More Fun: While this may not seem like a practical factor in making a business decision, the fact is people will choose a fun app/site over a slightly more useful one. More Potential: Every corner of mouse pointing-and-clicking has pretty much been explored by now, and it’s rare to see something new with it these days. However, gesture controls are still very much new and exciting, and can be interpreted in many more ways. With a little ingenuity and imagination, you can create something no one’s ever done before. If you have doubts about this, just look at the diversity of touch-based video games. To be fair, there are downsides to gestures. As Thomas Joos, managing partner of Little Miss Robot, points out, one of the biggest drawbacks to gesture controls is the learning curve. Because there is so much potential and room for interpretation, gestures can also be confusing, especially when users switch between devices with contrasting controls. In fact, the more you rely on gestures over visible buttons, the greater the possibility for confusion. There are several ways around this, but Max Rudberg, co-founder of Filibaba, advises against walkthroughs. In a post titled “If You See a UI Walkthrough, They Blew It,” he explains that too much information at once might lead to more confusion. The safer option, then, is to explain the trickier gestures slowly and over time, preferably with subtle visual cues instead of flat-out explanations. One of the main reasons gesture controls feel so natural and intuitive to us is because they resemble interacting with a real object. To throw out a used tissue, we select it, move it over the trash can, then release it. As discussed in Web UI Patterns 2014, that interaction is just more satisfying than a traditional drag and drop action. But in order to recreate these life-like sensations digitally, well-executed animation is no less than necessary. When paired with gesture-controls, animations essentially trick the brain into thinking, at least somewhat, that it’s interacting with something tangible. So when animations visually mimic the real-life reactivity to our gestures, we become that much more immersed in the experience. But be careful, because this works both ways: one false step, and the illusion—along with our immersion—is shattered. Simulating realistic responses digitally is by no means easy, but when done correctly it is rewarding. Rachel Hinman, Mobile UX Researcher at Intel, compiled a list of the 12 basic principles for animation, taken straight from the 1981 book The Illusion of Life: Disney Animation, but adapted to mobile design. Squash & Stretch: Be mindful of an object’s mass and rigidity, displayed by how it “squashes” or “stretches” when moved. Will your object move as a solid block, or will it display some flexibility? Anticipation: Visually anticipating the next action can help alleviate some user confusion, as well as make the UX more enjoyable. Staging: Presenting your content properly will help anchor your user so that they feel more comfortable interacting with your app/site. Straight-Ahead and Pose-to-Pose: Use straight-ahead animation to capture dynamic and complex movement, and pose-to-pose to cover more predictable movement. Follow-Through and Overlapping Action: Most movement isn’t stagnant throughout; pay attention to the differences between different areas, for example, a man walking moves his arms differently than he does his legs. Slow In and Out: Adding more frames to the beginning and end of, say, scrolling through a menu, will give the impression that the app/site follows the laws of inertia like any other real-world object. Arcs: Movement along an arc feels more organic, while movement along straight lines seems mechanical. Secondary Action: In the real world, actions have multiple consequences; a good example of a secondary action in a mobile app/site would be, if the user opens a new window, animate the old window closing. Timing: There is no one-rule for timing, as different speeds convey different tones. Fast might work best for light, fun apps/sites, while slow might be better for more structured and complex ones. Exaggeration: Don’t be afraid to take things bigger—just because you’re following reality doesn’t mean you can’t bend the rules when appropriate. Solid Drawing: Make use of 3D space, weight, and volume, as a real world object does. Appeal: A more theoretical principle, give your app/site some personality and charisma. A personal touch can go a long way in improving UX. 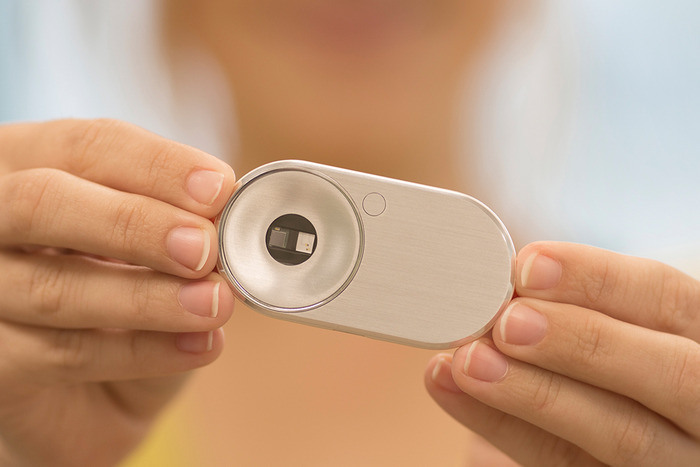 MOCAheart wants to make keeping track of your cardiovascular health as easy as pressing a button. The device, which is currently on Kickstarter, was developed by a team led by Naama Stauber and Dr. Daniel Hong, who was a physician at National Taiwan University Hospital, one of the country’s top teaching hospitals, before becoming an entrepreneur. The two met while attending the Design for Service Innovation Program at the Stanford Graduate School of Business, which focuses on developing new software and hardware for healthcare. 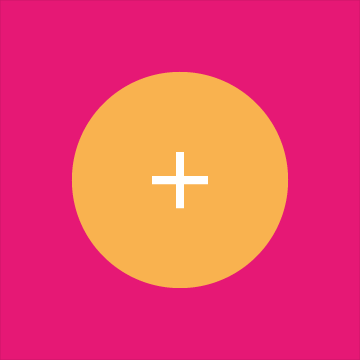 To use MOCAheart, you place your index fingers on top of the device and wait a few seconds for your health data to show up on the connected app. The lightweight but sturdy MOCAheart, which I saw demoed at MOCA’s Taipei office, contains several sensors within its stainless steel and plastic case. Two are light sensors: one red light and one infrared sensor that measure blood oxygen and blood velocity, respectively. Two EKG sensors track cardiac electronic activity. It also has a G-sensor, or accelerometer, so the MOCAheart can be used as an activity tracker in the future. The app uses pulse transit time (PTT) to estimate the user’s blood pressure. Instead of telling you your systolic and diastolic pressure measurements, like a blood pressure monitor does, MOCAheart uses a rating scale it calls the MOCA Index, which ranks your heart health (based on blood pressure, blood oxygen, and blood velocity) from 0 to 4. If you score a 0 to 1, that means your blood pressure is probably in the low to ideal range. Two means it is still normal but elevated, while 3 and 4 signify that it may be high enough to warrant a trip to the doctor. The app also lets you note the time, location, and weather conditions for each reading. The latter is important because very cold weather or high temperatures can put people who have heart disease at risk for heart failure. Hong says that the MOCAheart app uses its own index instead of giving people their blood pressure measurements because the device currently isn’t FDA-approved as a blood pressure monitor (though the startup might apply in the future). This is a potential drawback for people who need exact measurements, but on the other hand, if you just want an overview of your heart’s vital signs, the MOCA Index is easy to use and understand. The app does give you more precise measurements about your pulse and blood oxygen levels, and can be accessed by caregivers or family members. The MOCAheart is targeted toward people, including the elderly, who need to keep track of their heart’s health, but can’t remember (or be bothered) to strap themselves into a blood pressure cuff everyday. MOCAheart can be slipped into a keychain holder or clicked into a specially designed smartphone case. Other cuffless blood pressure monitors out there include Viatom’s Checkme and Sotera Wireless’s ViSi Mobile monitor. MOCAheart wants to differentiate with the device’s sleek design and its app, which gives family members a quick way to monitor their love one’s health. The device was developed partly with people like Hong’s parents in mind. MOCAheart has reached about a third of its $100,000 goal, which it needs to hit by Dec. 25. The device starts at $119 and is estimated to ship in April, a delivery date Hong is confident MOCA will be able to hit because they already have a final working prototype and manufacturers lined up in Taiwan. For more information about MOCAheart, visit its Kickstarter page. 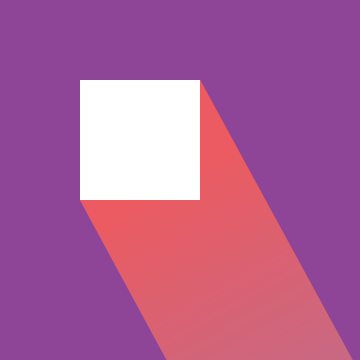 Digg, Milk, and Revision3 founder Kevin Rose recently left Google Ventures to start a new mobile development house called North, and now we have some details on the firm’s first app, Tiiny, which will launch soon. 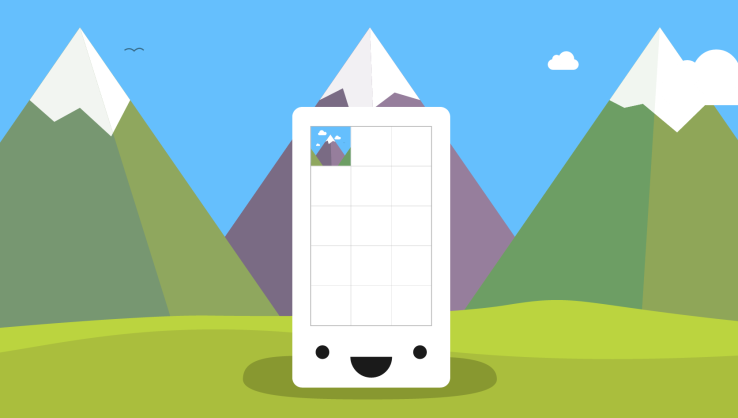 The basic idea is that Tiiny lets you share thumbnail-sized photos and animated GIFs to a grid of pics on your friends’ phones, and they disappear 24 hours later. 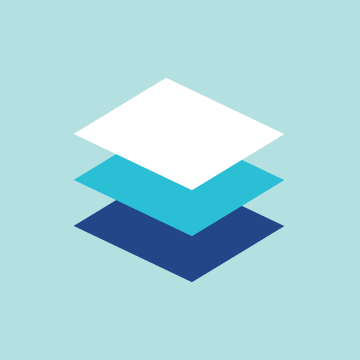 Rather than making you scroll through full-width photos like Instagram, Tiiny lets you get a constantly-updated look at what lots of your friends are up to in a single glance. Rose told TechCrunch founder Michael Arrington that the app is currently going through the iOS App Store approval process and should launch very soon. Rose’s team said he’s not ready to talk more about the app just yet, but we’ll have more details on TechCrunch when it’s time. I did get a quick look at the app yesterday, though, and it’s slick. As you can sort of make out from the photo below, the top of the screen features a 3-wide by 4-tall grid of photos and animated GIFS, with a button to capture and share more at the bottom. Seeing all the moving images on the same screen made the app feel vibrant and alive, which could make it addictive to check compared to more static apps like Instagram or even Vine, which only shows one video at a time. Rather than a replacement or direct competitor to other more public broadcast and direct messaging photo apps, Tiiny seems like it could fit in as a complement. There’s also supposedly some more functionality but we’ll have to wait until it’s out for that. North, which we profiled last month, has a peculiar strategy. Rather than languish on building one app, North is trying to use a small team of about 3 people to launch a new mobile app every three months. 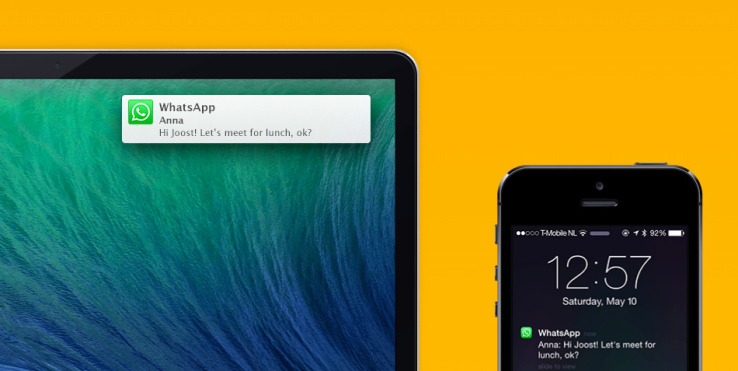 This scheme lets North quickly throw apps against the wall and see what’s sticky for users. With building social apps being likened to capturing “lightning in a bottle”, this diversified approach means North won’t spend a year building something no one wants. 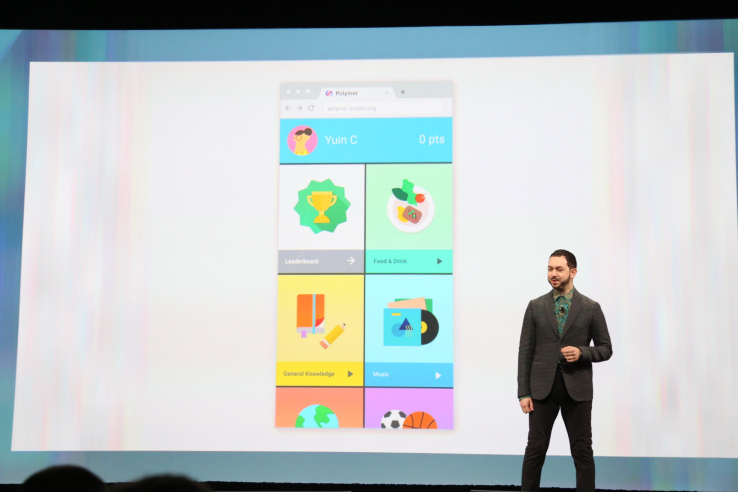 If Tiiny is a flop, the team will just move on to the next app. “You do not need a mobile marketing strategy for your company or a brand,” said TBWA’s head of digital Tuomas Peltoniemi, during the last session of Mobile Interactive 2014 organised byMarketing Magazine. Why? “Because mobile is not just another addition to your marketing strategy. It needs to be much more than that. Mobile should be at the heart of every aspect of your marketing strategy. It is not just a device for brand building for businesses,” Peltoniemi (pictured) explained. In a recent finding by Google Singapore, it was reported that 96% of consumers search local information on their mobile. Meanwhile 87% of the respondents claimed to research products via their smartphones and 44% claim to have made purchase. No doubt, mobile is here to stay. Yet with the proliferation of platforms, it can often be overwhelming for marketers to see mobile as another medium to be understood and conquered. Hence marketers need to see mobile as a mean to amplify the potential of their existing mediums, explained Peltoniemi. Here’s how mobile can be integrated into the heart of any marketing strategy. Have you considered how mobile impacts email campaigns? Probably not. According to Litmus Research Email Analytics and Jacobs & Clevenger, today 49% e-mails are opened on mobile devices but 90% of e-mail newsletter or campaigns sent out today do not consider mobile. This results in nearly 80% of users deleting their e-mail that don’t fit the screen. Yet if marketers could make tweaks to mobile optimise these e-mail campaigns, conversion rates likely to jump by 10% to 20%, explained Peltoniemi. “Once a brand starts considering mobile not only does it optimise conversion rates but it is also tapping into something most marketers aren’t. Mobile needs to be a key part of any e–mail activity that you do,” Peltoniemi added. According to Google, by December this year, mobile search on Google will most likely surpass PC search. Mobile search is also now a key decision tool with 45% of mobile search done by a consumer being goal oriented. At the same time 73% mobile search triggers additional action right away and a conversation. However marketers need to be mindful that in a study done by The Google Mobile Playbook 57% of users say they won’t recommend a business that has a poor mobile experience. Ease of use and convenience on the search page would however draw back a consumer to head down to a brand’s website. Be it search, social media, or banner ads – at the end of the day there are a lot of trigger points marketers place to drive people to their brand websites. Here’s where user experience and responsive web design comes into play. 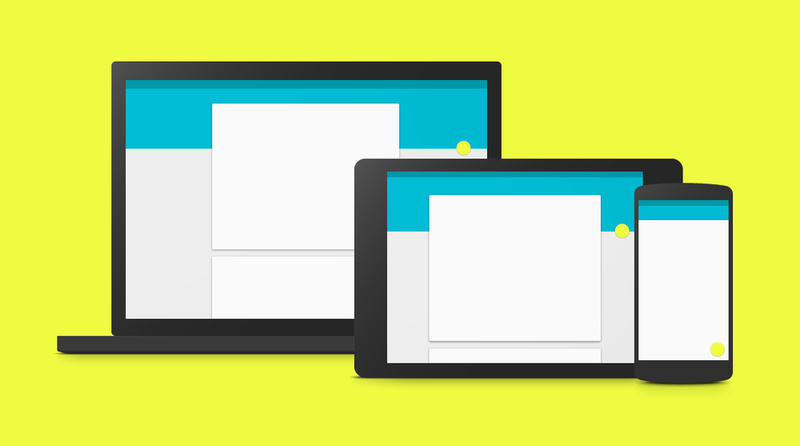 Responsive web design is vital and a must today. A business’s web design needs to be optimised for all devices be it mobile, PC or a tablet. It is also important to note that today 41% of users see mobile as their primary or exclusive means of going online. Social networking is all about mobile. According to a study by Adobe late last year, 71% of people access social media through their phones. According to Facebook, 52% of content sharing is now also done through mobile and not desktop. 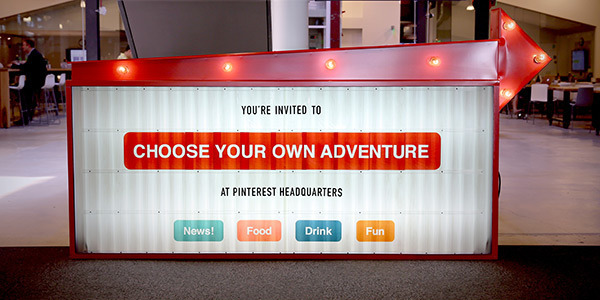 It is thus vital how marketers customise content to fit into mobile on social media. “When marketers run social media ads they need to be mindful that the ads are actually competing against real people’s lives. A brand’s paid massaging needs to be really relevant to people’s lives and you need to produce content that will resonate with them,” Peltoniemi added. Consumers are largely inconsistent and marketers are still trying to work out a balance in how much information they can or should collect without coming off creepy, explained Malshe. He added that most consumers are still highly offended when they come across an ad which is disrupting their day. To date, only 7% of people are willing to see an add. Companies today are still struggling to figure out ROI measurement and which mediums to attribute a sale to. Proving ROI is not only a moving target in marketing, but also a major burden due to the time required to accurately report results. Globally, 75% of marketers face a problem when trying to calculate ROI and a common issue is connecting marketing activities to specific earnings generated. These are the findings of a study by Teradata’s Data-Driven Marketing Survey 2013. With so much data being around, 80% of the time large corporations are spending time sieving though the data. Only 20% of the time do marketers actually get to utilize the data and use it to target their audience. Meanwhile existing trust issues by consumers and internal coordination in a company are also needed to overcome the tech barrier present. Instagram is building new apps that aim to do more with mobile photography, and today they’re launching Hyperlapse (via Wired), which allows you to make timelapse videos using standard video captured with your smartphone camera on the fly. The Hyperlapse app follows closely the international launch of Bolt, Instagram’s Snapchat-style photo sharing app, but this one looks like it has more of the ingredients that made Snapchat such a success. The app, which is due to be released at 10 AM PT today, offers iPhone users a way to make professional-looking timelapses without expensive photography equipment like pro cameras, steady-mounts or tripods, and takes advantage of image stabilization tech that makes use of movement data gathered by gyroscopes to mimic the effect of ultra-expensive motion stabilization software used by film studios, but using a fraction of the processor power to get it done. One impulse at Instagram was to build it into its existing app, but doing so would’ve hidden the functionality too much for those really eager to try it, and made it virtually invisible to the average user who might not realize they even want it, per Wired. To me, this sounds like Instagram learned a lesson from Instagram Video and Direct, and wanted to give this cool new tech the attention it deserved as its own app, where it stands a good chance of going viral rather than being adopted by just some of Instagram’s existing user community. Instagram’s Hyperlapse is, like its original product, focused on simplicity – the only thing that you can change about your captures is the speed of playback. You use a slider to control how fast the video you eventually share will play at, from standard 1x speed (i.e. the normal speed at which it was recorded) to 12x. Even at 1x, you get to take advantage of the advanced image stabilization techniques, but the same video is bound to produce an extremely different final effect depending on what playback speed you combine with the automatic stabilization effects. This looks to be one of the coolest new mobile apps released in a while, particularly from the Facebook/Instagram crowd. The app is live now for iPhone owners (Android users will have to wait for a later version, unfortunately), and we’ll soon post our impressions regarding this new stabilization tech and its effectiveness. Now, Ideo has released a free sequel. The design firm calls it Avocado, and it builds on the functionality of Origami, creating an even faster UX prototyping tool. "We wanted to build Avocado as something for our designers to be useful for them, and then put it out there to see if it’s helpful to others," explains Design Director Chris Nyffeler. For Ideo, Avocado was a natural extension of its rapid prototyping process. The design firm has a fierce addiction to Post-it notes, sketching out ideas to get at the very best design. Avocado was a way to refine the firm's rapid prototyping--to create that sweet spot between quick and pretty. The resulting creation isn't a true app. But it is a detailed, full-motion mockup of how an interface could work. In this sense, Avocado projects sit halfway between Post-it mockups and fully functional coded applications. They're meant to prove or iterate a concept before you invest in actually building a piece of software. WHAT'S LIFE REALLY LIKE DESIGNING FOR APPLE? AN ALUM SHARES WHAT HE LEARNED DURING HIS SEVEN YEARS IN CUPERTINO. Apple is synonymous with upper echelon design, but very little is known about the company's design process. Most of Apple’s ownemployees aren’t allowed inside Apple’s fabled design studios. So we’re left piecing together interviews, or outright speculating about how Apple does it and what it’s really like to be a designer at the company. Enter Mark Kawano. Before founding Storehouse, Kawano was a senior designer at Apple for seven years, where he worked on Aperture and iPhoto. Later, Kawano became Apple's User Experience Evangelist, guiding third-party app iOS developers to create software that felt right on Apple's platforms. Kawano was with the company during a critical moment, as Apple released the iPhone and created the wide world of apps. In an interview with Co.Design, Kawano spoke frankly about his time at Apple--and especially wanted to address all the myths the industry has about the company and about its people. It has often been said that good design needs to start at the top--that the CEO needs to care about design as much as the designers themselves. People often observe that Steve Jobs brought this structure to Apple. But the reason that structure works isn’t because of a top-down mandate. It’s an all around mandate. Everyone cares. “It’s not this thing where you get some special wings or superpowers when you enter Cupertino. It’s that you now have an organization where you can spend your time designing products, instead of having to fight for your seat at the table, or get frustrated when the better design is passed over by an engineering manager who just wants to optimize for bug fixing. All of those things are what other designers at other companies have to spend a majority of their time doing. At Apple, it’s kind of expected that experience is really important." Kawano underscores that everyone at Apple--from the engineers to the marketers--is, to some extent, thinking like a designer. In turn, HR hires employees accordingly. Much like Google hires employees that think like Googlers, Apple hires employees that truly take design into consideration in all of their decisions. For the most part, Apple didn’t employ specialist designers. Every designer could hold their own in both creating icons and new interfaces, for instance. And thanks to the fact that Apple hires design-centric engineers, the relatively skeleton design team could rely onengineers to begin the build process on a new app interface, rather than having to initiate their own mock-up first. Apple products are often defined by small details, especially those around interaction. Case in point: When you type a wrong password, the password box shakes in response. These kinds of details are packed with meaningful delight. They're moments that seem tough to explain logically but which make sense on a gut level. Kawano told us that Apple designers (and engineers!) will often come up with clever interactive ideas--like 3-D cube interfaces or bouncy physics-based icons--during a bit of their down time, and then they might sit on them for years before they make sense in a particular context. But if you're imagining some giant vault of animation ideas hiding inside Apple and waiting to be discovered, you'd be wrong. The reality, Kawano explains, was far more bohemian. 1. He’d hate it, and you might be fired. 2. He’d love it, the detail would gain his attention, and you’d lose every foreseeable night, weekend, and vacation to the project. “Nothing personally,” he admits, and then laughs. “The only thing that was really positive was, in the cafeteria one time, when he told me that the salmon I took looked really great, and he was going to go get that." 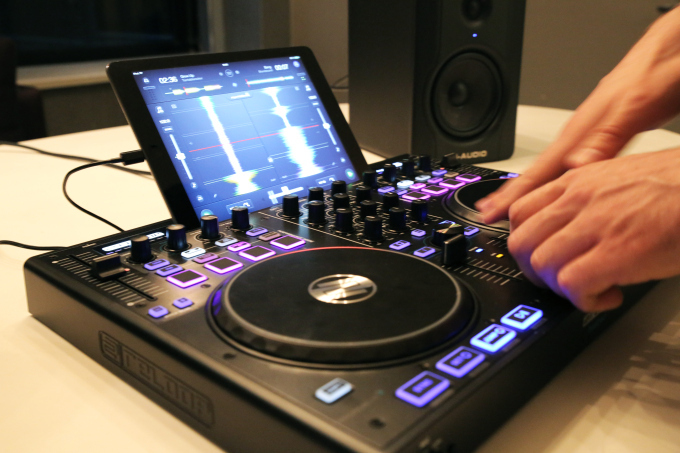 Algoriddim is updating its iOS app djay today with a big new feature — integration with Spotify. This is the first time djay (which the company says has been downloaded 10 million times, making it the world’s bestselling DJ app) has been connected to a streaming music service. This means users will no longer be limited to the music in their collection, and can instead access 20 million tracks in Spotify’s library. Algoriddim aims to serve both casual users and serious DJs, and on the serious side, this could be the next step away from having to lug crates of vinyl records from club to club. It sounds like an obvious move, but CEO Karim Morsy said there were significant technical challenges, because users aren’t just streaming music from the cloud, but also mixing and applying effects in real-time. You can see the app in action in the video above — as I watched Morsy show off djay’s different features, the app seemed to work as quickly with Spotify tracks as it did with iTunes music that was stored locally. In addition to giving djay users access to more songs (they can search or browse different playlists, as well as share playlists of their own), Morsy said the integration allows Algoriddim to introduce two new features. First, there’s Match, which recommends songs that would be the right fit to play after the current track. Morsy’s a DJ himself and he said he’d previously believed that making this kind of song selection could never be automated. But using technology from Spotify’s acquisition of The Echo Nest convinced him that he was wrong. And users can take that automated approach even further with Automix Radio, which won’t just choose the next song, but will create an entire mix and handle all of the transitions. So you can select a song that sets the mood, then let Automix continue playing automatically. In some ways it’s similar to just creating a station on an Internet radio service like Pandora, but with “beatmatched, DJ-style” transitions between songs. Users will need a Spotify Premium account to access the Spotify library in djay, but the app includes a 7-day free trial for the premium service. Algoriddim is also promoting the apps by cutting the iPad price in half, to $4.99, and making its iPhone app available for free. A number of companies have attempted to combine physical objects and the iPad in an effort to create new kinds of children’s games, whether that’s Crayola with their DigiTools coloring pens or games that teach toddlers their shapes, like Tiggly. Today, another digital toymaker, Tangible Play, is entering this space with the launch of a series of high-quality games designed for children ages 6 to 12, including puzzles, word games, and other forms of creative play. In development for over a year, we first spotted Tangible Play demonstrating its games at a previous TechCrunch Disrupt Startup Alley. The company was founded by ex-Googlers, including Pramod Sharma, who had earlier seen the intersection of physical and digital when he helped build Google’s book-scanning machine, and Jérôme Scholler, who had worked on Chrome for Android. Both men are also dads, and like most parents, they have mixed feelings about the way today’s tablet computers engage kids’ attention. On the one hand, technologists generally like to see their kids embracing digital tools at young ages. But, says Sharma, “[my daughter] could literally spend hours just looking at a screen, and doing nothing else. And as a parent, this is obviously concerning,” he says. That led the founders to create Osmo, the company’s first product built to combine social and creative play with the highly engaging tablet their kids were addicted to. The games center around a technology which they refer to as “Reflective Artificial Intelligence.” What that means is that the Osmo gaming kit includes a uniquely designed reflective camera that snaps onto the top of the iPad, allowing the app to “see” the shapes and objects placed in front of the tablet on the tablet or other flat surface. The game kit also includes an iPad stand and two physical games, their app counterparts, as well as third app that’s Osmo’s most recent addition. While the best way to experience Osmo is to try it for yourself, the general gist of the experience involves playing a game in front of the iPad, following software prompts along the way which guide the gameplay. In the case of “Words,” children try to quickly guess the word by sliding letter tiles in front of the tablet, while in “Tangram” kids use colorful wooden pieces to try to reproduce the image on the screen by placing shapes together. A third title, “Newton,” lets you engage in more creative play by placing any object in front the iPad – glasses, a pen, your hands, etc. – to turn them into structures inside a game involving bouncing balls and targets. Though my daughter is only four, and below the target age range for these apps, with some guidance we were able to play some of the Osmo games together. It was easy to see how these games could make the iPad a more social activity - something that’s more like the modern-day equivalent to what was once the family board game night at home. That being said, the test versions I was able to try (admittedly a few weeks behind the versions of the apps launching today) did have some kinks. I found, for example, that the shapes game “Tangram” would sometimes not see the pieces correctly, lighting up to show a match, then dimming again for no apparent reason, then lighting up again, which was confusing. The sounds effects and music also need work, as they didn’t seem quite as kid-friendly and engaging as they could be. (They actually sound better in the video above, than in person). But overall, the games work as advertised, provided you have good lighting and a flat surface to play them upon. And Sharma says that now the goal is to make Osmo work on any surface, including floors and tables alike. The company has been piloting the games in over one hundred schools, many near their home base of Palo Alto. From these early tests, the founders came to better understand the potential for Osmo from an educator’s perspective, explaining that their group play nature could help with a child’s social and emotional learning, while other games taught different concepts, like spatial intelligence and creative thinking. Today, Tangible Play is launching its crowdfunding campaign which will allow it to assemble a core group of early adopters who the team hopes will help to evangelize the product and help Osmo gain traction. Though the gaming kit will eventually retail for $99, crowdfunding backers will be able to get it for a discount at $49, with some limited availability. The goal is to raise $50,000 to help with start-up and manufacturing costs. However, the company doesn’t really need the crowdfunding in order to get the device to manufacturing, as they’ve previously raised an undisclosed round of seed funding from K-9 Ventures last year. 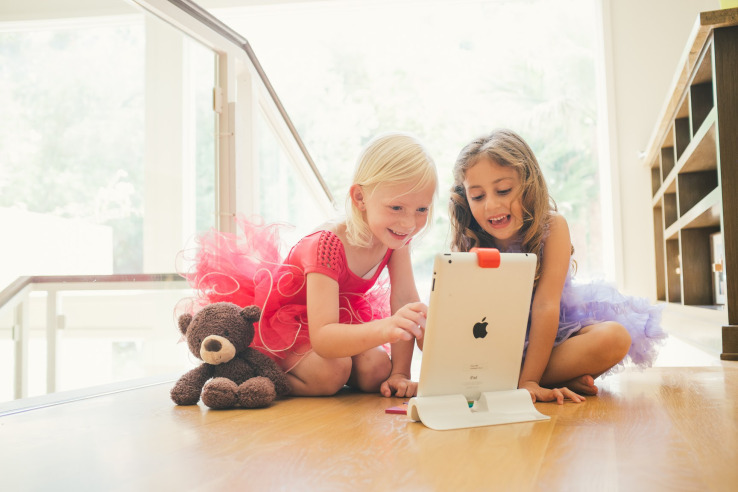 You can join the new crowdfunding campaign or learn more here: www.playosmo.com. Since we are roughly six months into the general release of iOS 7, and about two months from learning about iOS 8, I thought I’d share my thoughts on iOS 7 as well as my iOS 8 wish list. Overall, I’ve been pretty happy with iOS 7 and haven’t wanted to go back to iOS 6. However, I still think there is room for improvement. The new look-and-feel introduced in iOS 7 was controversial, to say the least. For me, I liked the new interface from the beginning. I’m in the developer program and installed the beta the day it was released. I took me a few days to get used to it, but after that there was no going back. I recently had my iPad replaced under warranty. When I got the new one, it had iOS6 installed. It was a jarring moment as I realized then how much I liked the new look and feel. Being able to flip up (as opposed to flip off, I guess) Control Center and turn Wi-Fi, Bluetooth and the flashlight off and on, as well as have quick access to a calculator, is a nice addition and has also eliminated the need for a separate flashlight app. My one complaint is the touch target for the swipe seems a little narrow. The Notification Today Screen is a great addition. I’d be lying if I said I used it as much as I should. It’s nice seeing what my day looks like first thing in the morning. Granted, it seems the times I use it the most are the days I’m thinking of calling in when I’m sick and want to see if I have any important meetings. When I swipe down to see the Today Screen, and it tells me “There are 2 events scheduled…” for the next day, I’d like to be able to tap on that sentence and bring up the calendar. What I also like to see is for them to borrow from Google Now and let me add in sports scores and the like. This week, I fell asleep before the Red Sox won a game in 14 innings. It would have been great if the Today Screen showed the score the next morning. However, I’ve never really used the Missed Notification tab, because I’ve really limited the amount of apps that hit the Notification Center. I really like the new Multitasking screens. It took a little getting used to it taking up the whole screen, however, the live update is great. Sometimes, I’ll use that to take a quick peek at an app and then scoot back over to the current app. While I still use 1Password, I’ve become a big fan of iCloud Keychain. What I’d like to see is the ability to have other apps have access to it, too. I still need to keep a copy of my passwords in 1Password because Mail, WordPress, and any other app with a login can’t read the Keychain. The grouping of photos by Moments in the Photos app is a bit of a hit or miss for me. I’d like the grouping to be a little bit smarter. Over the period of a week, I took photos at a show in Connecticut, near work, and near home. On one view level in Photos, they were grouped all together, When I tapped on a photo it did bring me to the grouping of just the Connecticut show. The reason I’m sold on it is because of that mid-level grouping. I’d prefer it didn’t group the different locations that way. That said, I don’t like it when there’s only a few photos in a collection, so I’m guess I’m just never happy. iTunes Radio is something I keep forgetting is there. I like the idea of it, and as a iTunes Match subscriber I should be using it more. I usually come close to my data limits each month (my plan is split between three phones) so I have cellular data turned off for Music. Since I do most of my music listening on the ride home from work, listening to iTunes Radio is pretty much out. I should use it at work, though, where I can get on the guest Wi-Fi. The fact that Airdrop only works between iOS devices (or two OS X devices) is a let down. Sometimes, I’d like to be able to drop a file from my Mac to my iPad without going through the the iTunes File Share route. While Siri has gotten better, it’s still a let-down for me. I still seem to be having, “I’m sorry Dave, I can’t do that right now” moments more than I’d like. Either she has a hard time with my Boston accent, or she’s just hard of hearing, because it seems like most text messages have her end up mangling at least one of the words. I use Siri on almost a daily basis and at least twice a day I end up swearing at it. I would also like the Siri APIs opened up for all developers to use. The folder view on the iPad feels like it should display at least another row of icons. I also don’t like that tapping the home button still leaves me in the folder; I want it to bring me back to Home screen. GameCenter is still pretty useless for me. I have friends on GameCenter, but I never really interact with them. The Notifications seem wonky, too. My girlfriend plays Scrabble on her iPad a lot, but according to GameCenter, she last played it a year ago. I would also like to be able to tap on the Scrabble icon in GameCenter and challenge her directly. I’d like to see more app parity between OSX and iOS. iOS really needs a Preview app. I can store PDFs in my iCloud, but can’t see them on my iPad. I’m also not sure why there isn’t a calculator or compass on the iPad, either. It’s unlikely we will see this, but I’d love to be able to set default apps for mail and browsing. On the iPad, I’d like to see the landscape view have the same six columns I can have in the springboard. If there’s room there, why isn’t there room on the main display. It also throws my OCD off when the rows don’t line up. Apple also needs to increase iCloud storage and bring their prices in line with Google’s service ($9.99/mo gives me 1TB of data vs. a max of 50GB of iCloud storage for $100/year. Also, you cannot fully back up 64 or 128GB iOS devices. Granted, some of this data can be redownloaded from iTunes Match, iBookstore and other repositories. I’d like to use iCloud to hold a lot more data than I currently can. I have roughly 30g of guitar magazines I’ve scanned in and I’d like them to sit on iCloud; right now they are on my Google Drive. I would also like to truly start severing the iTunes connection my iOS devices have, and improve how iOS apps sync back to their OS X counterparts. If I add a book on my iPad’s iBooks app from Project Gutenberg, it’s not synced back to iBooks on OS X (to be fair, I don’t think if I open a book on the Kindle app it’s auto-added to my Kindle Personal Documents, either). I would also like to create an album on Photos on my iPad and have it appear in iPhoto on my Mac. I would also like to be able to write to Reading List from apps not called Safari. I’ve been using as a replacement to Pocket since, and I don’t like that I can’t set my Read Later in Twitter to Reading List. Actually, a share sheet like Android would be great, On my Nexus 7, once I have the Evernote app installed, I can share just about everything with that app. We will find out June 2nd what Apple’s roadmap for iOS 8 is. Most likely, we will see a few bits of people’s wish lists and then a slew of features we hadn’t though of. 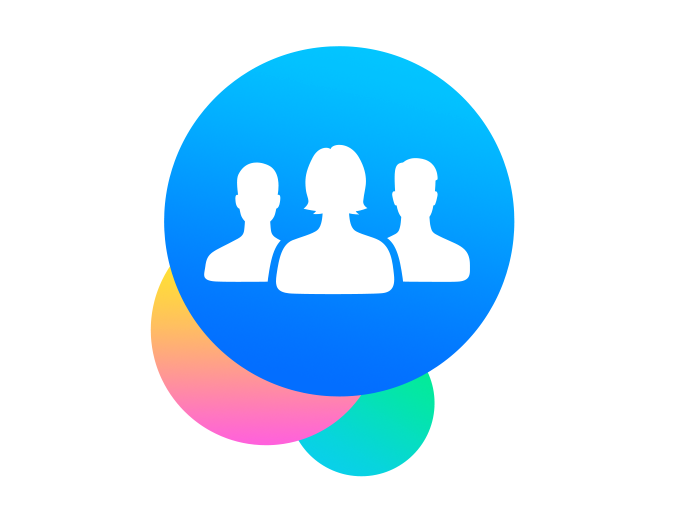 What I hope is now that Apple is done (hopefully) with the redesign, iOS 8 will focus on features.